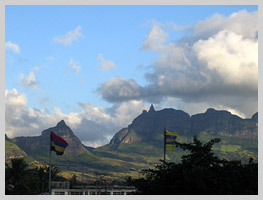 The western area of the island features the capital city, Port Louis, and the Moka and Chaîne de Grand Port mountains, that extend along the coast from north to south. Here, the island is crossed by several rivers, including the Grande Rivière Noire, with a series of sheer drops that resulting in a succession of superb waterfalls. 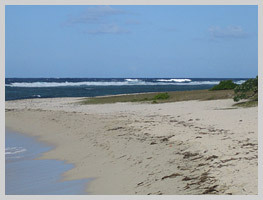 Because it is less developed in terms of tourism, the western coast of the island is perfect for those seeking a peaceful stay. The almost constant breeze offers plenty of fun for windsurfers and sailing enthusiasts.